Moving is sometimes best described as an emotional roller coaster, with plenty of excitement and anxiety in the mix. You look forward to the new place, but a host of other details are to be taken care of which fuel your anxiety. As your Kamloops Movers with decades of experience in moving, we offer five tips that can help you in speeding up the moving process. This may sound like a cliché, but the importance cannot be over-emphasized. Besides packing and moving, there are several other things to be taken care of such as informing your bankers about change of your address, cancelling your membership in local fitness clubs, looking for a new football coach for your child, etc. It is useful to make a complete list so that nothing is forgotten. This also helps in mental preparation and emotional adjustment of leaving the existing place and moving to a new place. In the humdrum of daily life, things accumulate at home. Moving offers a wonderful opportunity to dispose them off either through second-hand sale or donations. Start with all the things that have not been used in the last one year. That should be a good haul. Move on then to kitchen items such as cutlery and crockery. Then look at your furniture and see if you can dispose of any. This exercise will de-clutter the packing and simplify it to a great extent. It is always beneficial to hire professional help for packing and moving because efficient packing does require a good deal of expertise. Professionals know what packing material to use and how to conserve space. Above all they would ensure safety of the article packed. This would save you a significant amount of time and bother. Check the internet and do some research about life in the new location. You can gather useful information on stores where you can buy day-to-day things, restaurants, schools, clubs, places for entertainment and other local infrastructure available. Once you shift, you would be busy unpacking and organizing the house and hence some advance knowledge of other facilities in the location would be a big time saver. The first couple of days in the new place will always be unorganized. It is helpful if you can keep a good supply of ready-to-eat snacks, clothing, some bedding, toiletries, etc. Carry this set of things with you as you move. This would ease the process of settling down at the new place. 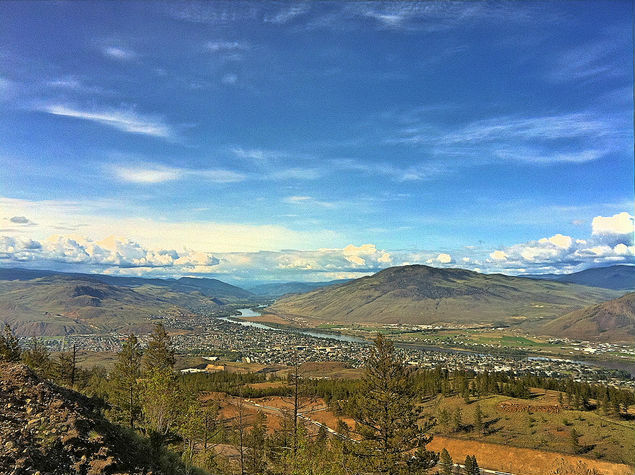 As Kamloops Movers, we are the best at what we do. If you are looking for movers, please feel free to contact us and we’ll be glad to help.